One of the hardest tasks with any holiday eCard campaign is going through your contacts and creating a clean, up-to-date email list. It's not uncommon for people to say, "How can I get this done by the end of the day?" Our advice? Start cleaning as soon as possible and maintain your email list throughout the year to make it easier for future email campaigns. Another consideration is that an email list with outdated or duplicate email addresses may affect your email open rates. It is imperative to verify that your email list is up to date and to remove any bounce backs or unsubscribe requests from your last mailing. One of the keys to getting the most out of any email campaign is to have a quality email list. It's important that the people on your list have given you permission to send them email and it's more likely they will open an email from you if they have. If you are planning to import your contacts into CorpNote's online address book, you will need - at minimum - a .csv file with each contact's first name, last name and email address. While first name, last name and email address are the minimum data fields required to add a contact to the CorpNote address book, you may also wish to export and save your list with Company, Category (such as vendors or clients), Birthday, Anniversary and start date. "Start Date" lets you assign a date that a contact became a customer or an employee was hired. All of these fields are very helpful if you want to add a contact to a recurring eCard series for holiday cards, birthday cards, employee milestone recognition and more. 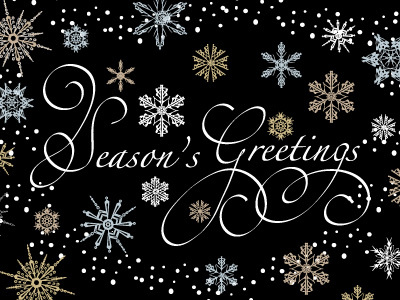 You can 'mail-merge' each recipient's first name in the eCard greeting, e.g. Dear [first name]. You can track eCard and invitation pickup for each recipient by their name rather than their email address which might not be an easy way to identify a contact. You can more easily identify a contact if they unsubscribe from your email list. You can create groups of contacts that enable you to send an eCard to up to 2,500 recipients with a single click. For example, you might create groups for current clients, potential clients, vendors, colleagues etc. 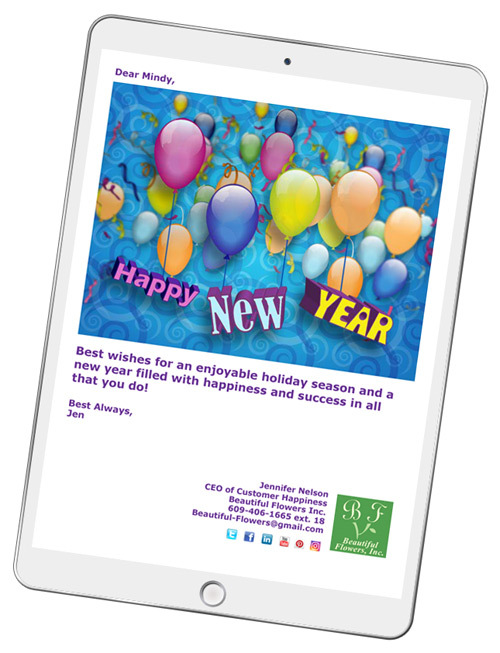 This enables you to send a different, targeted message and eCard design to each group of people. You can set recurring holiday eCard campaigns to automatically send your holiday eCards year after year and without duplication of card designs. You can view a contact's history which will show you all of the eCards, invitations and survey sent to a contact and their responses. After you upload your .csv file to CorpNote, you will be able to review your contacts before finalizing the import. If your contacts look correct, proceed with the import. When your contacts have been imported, you will see a list of the total number of contacts imported and whether existing contacts were updated. If your contacts did not import, your file may have errors in it. Check our tutorial for detailed instructions and a list of common problems and how to resolve them. Once your contacts have been imported, we recommend that you create groups of contacts. This is a huge time saver as it will make sending eCards to large lists or sending eCards to different types of contacts (such as clients or employees) much easier. When sending your eCard, you can just select the 'group' of recipients you want to send to and CorpNote will automatically address your eCard to those recipients. Special notes for managing invitation contacts: Each time you send an invitation, your recipients are automatically added to your consolidated Invitation List. Even if you send multiple invitations using different eCards on different days for the same event, the Invitation List lets you easily track and follow up with the people you invited. Bigger is not always better when it comes to email lists. A small targeted list of valuable contacts will get you the best open rate. You could send an email to thousands of contacts but if you only get 5% of those people opening your email, that's not a huge win for your effort. It's important that the people on your list have given you permission to send them email. Not only does this make you GDPR compliant, your contacts are also more likely to open an email from you if they have given you permission. If your recipients have no idea who you are, they'll mark your emails as spam or unsubscribe from your list, and then you are done with the opportunity to reach their inbox. Continually refining your list throughout the year enables you to get the best open rate. It's important to diligently remove contacts from your list for which you have received a "bounce back" or undeliverable message. This will give you a more accurate open rate percentage since you will have cleaned your list to have a more accurate number for your total recipients that you are likely to reach. Related FAQ: How will I know if I sent an eCard to an email address that no longer exists? Removing contacts who have unsubscribed will also help keep your list clean and improve your open rate percentage. Each eCard you send has a 'Manage Your Email Preferences' link. eCard recipients can select to unsubscribe from your eCard list and your CorpNote address book is automatically updated. Future eCards will not be sent to this contact even if you leave their contact information in your CorpNote address book. We recommend that you remove the contact from your address book. This can easily be done by clicking on the unsubscribed contacts tab in your address book and clicking the delete icon next to that contact's name. From this page, you can also download your unsubscribed list as a .csv file and update your email list in other email programs you are using. A contact can also subscribe to your mailing list by clicking on the 'Manage Your Email Preferences' link on an eCard or invitation that has been forwarded to them. You will see these contacts on your account welcome screen and can add them to your CorpNote address book. Bonus Tip: Your online address book can be exported as a .csv file for use in other programs such as MS Excel. This way you can easily download your CorpNote address book contacts and not have to worry about losing your information if you deactivate your CorpNote membership. There are lots of ways to build your email list. The bottom line is that whatever strategy you use, make sure you tell people why giving their email address to you will be a benefit to them, such as receiving discounts or product updates. Every website or blog should have a form where people can sign up to receive emails from you. Be appealing to your audience and let them know why they should subscribe. For example, the emails you send might offer a benefit such as special offers, birthday deals, exclusive content, a tip of the day etc. Guide people to your sign up form in articles you write, in social media posts etc. Always have a paper or online sign-up form at your business location or at trade shows. Offer a one-time discount or something free for new subscribers. To come up with more ideas, think about the email lists you subscribe to and what prompted you to sign up. In general, most businesses see their email lists grow if they offer an incentive in return for sign up. Sometimes you do not have an 'email list' for your contacts. For example, you may have thousands or millions of contacts in social media but the only way you can contact them is through social media. 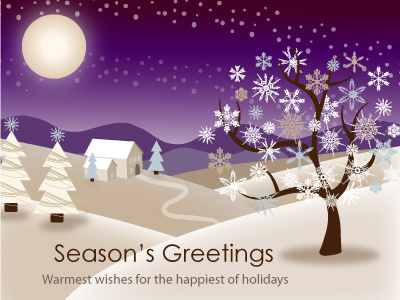 This is where sharing holiday eCards in social media or on your website is the perfect solution!